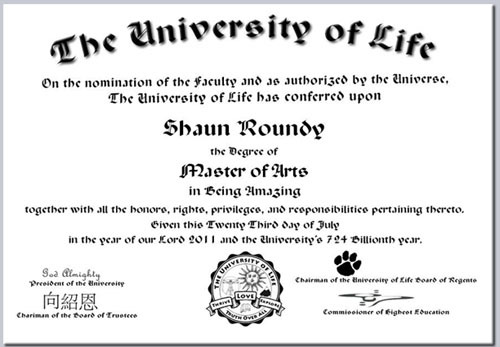 Enter your name, degree, major, and date, and you can get your very own University of Life diploma like the one below (only bigger!). Show it off to all your friends by copying the URL (the web address) to Facebook! You can even create specialized diplomas for your friends and post them to their Facebook walls – you know what they deserve!